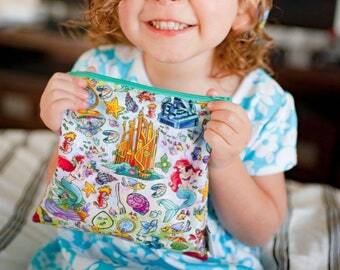 Add a little magic to your lunch with these reusable snack bags. These little bags are amazing for toting snacks and all the small things. They feature a magical custom cotton print outer and are lined with strong and thick ProCare barrier fabric. ProCare is CPSIA certified free of lead, phthalates and BPA. Oh and 100% food safe...I mean this stuff is amazing. 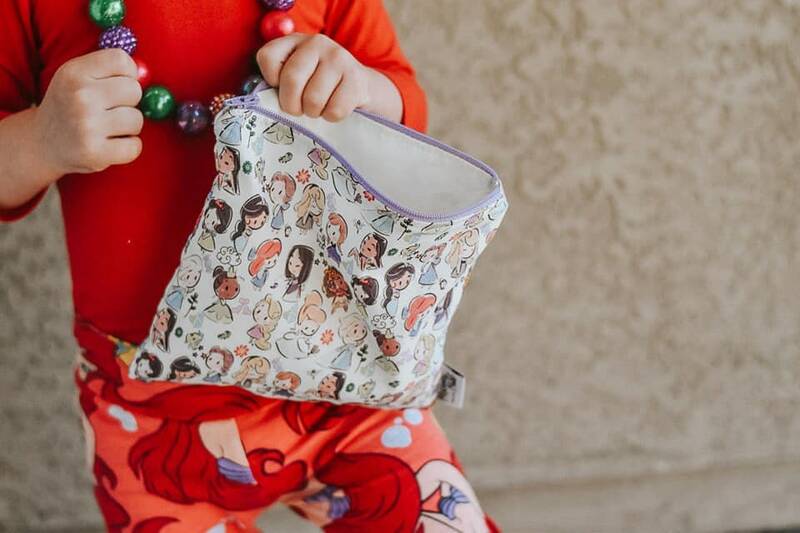 The zipper closure is perfect for little hands and silent snacking...hey there Sunday morning church service or matinee movie date (sshh I won't tell you brought your own snacks in). Best part? You're helping to reduce plastic waste, HOORAY Go You! Care is a BREEZE, just turn those babies inside out and give them a quick wash in the sink. Got some PBJ in there real good? Toss 'em in the washing machine on warm and go start that Netflix binge. Try and air dry as much as possible. Occasional heat dry is fine, but I want your investment to last a long long time. ***This item was created as Disney fan art, by a Disney fan and for Disney fans. It is in no way affiliated with the Disney company. Very well made and absolutely adorable! Adorable fabric, great size for snacks. Can’t wait to surprise my kids with them! Perfect for our summer trip ❤️ Great personalized thank you as well, lovely shop! These are so beautifully made! Shipped quickly. I ordered 3 and could not love them more. The only problem is that there are so many cute designs to choose from!